CHS Varsity 3 Earns 6th in State! 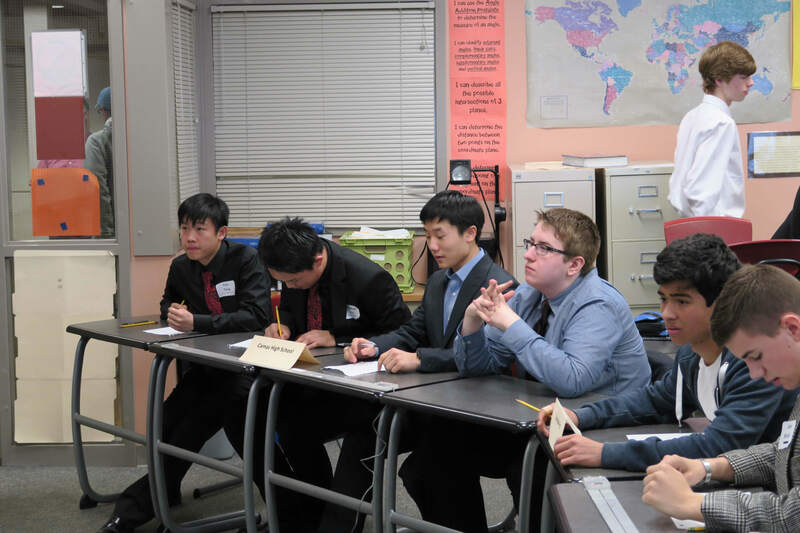 Camas High School Varsity 3 traveled to Arlington, WA (just north of Seattle) over the weekend to compete in the 33rd annual State Knowledge Bowl Tournament. Going up against tough competition, we did well enough to make it into the semi-finals in the afternoon, giving us a shot at earning some hardware and a “place” at State. We were just edged out of a chance to compete for 1st, 2nd, and 3rd by our nemesis Olympia High School. But we did manage to end up with 6th place at the 4A level. 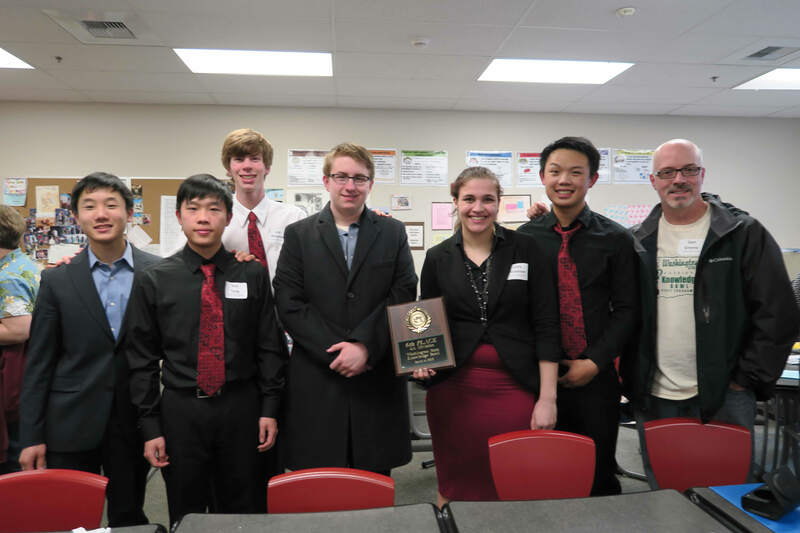 Congratulations to Varsity 3: Jason Kim, Lizzy Nickerson, Yun Teng, Jonathan Ho, Colton Ratcliff, and Levi Holscher.